Fresh from his debut festival performance at Big Pineapple Festival on the weekend, Sydney based electro enigma Billy Fox is proud to announce his new single, aptly titled Mystery. Fox, the sole producer, musican and writer, introduced himself in late 2013 with his soulful debut release in single Monuments. Fast forward to 2014 and Fox is implementing his game plan, running off simplicity and gut instinct, with Mystery being the first single from his ambitious mini-album, set for release later this year. The track was released on May 17 through Inertia Music and was premiered by international taste makers, The Line of Best Fit. 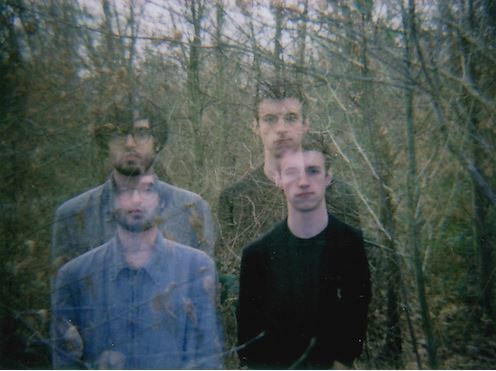 The steady a smooth production of Mystery relaxes without sedating and has already drawn comparisons to seasoned music makers like James Blake and Sam Smith. With curiosity mounting for this new kid on the electro block, Mystery is another piece of the puzzle that will leave both taste makers and audiences eager to learn more about Billy Fox. Following the release of album Awake earlier this year via Ghostly International, Tycho are pleased to unveil the mystical new video for album standout track See. Tycho are set to play at Latitude Festival as well as a string of other UK dates later this year. Speaking about the inspirations and techniques behind the video GMNUK states: “When we first listened to See we immediately began thinking about perspective and what it means to have sight. We wanted to explore the difference between the perceived and the actual that constantly exist within each of us. We wanted to push the defined limits of vision both naturally and through technological enhancements. The resulting film presents the story of a woman living two parallel existences, expressed through rich, low­ contrast visuals that complement the dreamy and lucid feel of See. “One keystone of the video is this intensely stylised mystic worldview of spiritual energy we see through our heroine’s perspective. Presented through full­ spectrum as well as infrared photography, our heroine’s experience has an unmistakably unique palette. We were very excited about this world of full spectrum photography and the idea of being able to ‘see’ things that were otherwise invisible. Using special filters we can achieve practical, in ­camera effects that drive home her familiar yet otherworldly perception. “The band was treated as the interweave between the two dimensions in the film. Visually, they’re presented through a different infrared capture, providing a visual bridge while still giving us a reprieve from the intense environmental palettes. We captured the thousands of scattered, IR­visible dots emitted by a Kinect, supplemented with laser projections that bathe the image with fill light and colour. The band footage also acts as a narrative locomotive, spurring the transition points within the story. Röyksopp and Robyn announce the release of the Do It Again mini album which will be released on Cherrytree Records/InterscopeMay 26 2014. Do It Again is the first single and is available now digitally via digital download stores and streaming via subscription services. The single serves as an introduction to a new Röyksopp album to be released later this month. The highly anticipated Do It Again tour with Röyksopp and Robyn kicks off this summer in Spain at the Sonar Festival on June 13 and hits the US with stops including The Hollywood Bowl in Los Angeles on June 29 and at Pier 97 in NYC on August 20. Röyksopp and Robyn were inspired by each other’s company and compelled to create something they had never done before, building on the brief moments when they had come together in the past. Having worked together on The Girl and the Robot, which appeared on Röyksopp’s Junior album in 2009 and None Of Dem on Robyn’s Body Talk Pt. 1 in 2010, the Do It Again mini album sees the two artists doing just that. Röyksopp added:“This doesn’t sound like Röyksopp featuring Robyn or Robyn produced by Röyksopp, it’s just something else entirely. The word ‘collaboration’ has never before been more justified in the world of music. The Do It Again mini album represents the perfect coming together of three of the most original musical minds in the world. Do It Again is the first single taken from the mini album and is an “accidental pop song” written after a night out together in Bergen. The effervescent, effortlessly uplifting electro-pop tune started out as a rave-inspired throwback. Elsewhere, the Do It Again mini album covers big thumping house with the club-ready Sayit which features a near duet between Robyn and what sounds like an aroused robot. On the other end of the spectrum there is the closing Inside The Idle Hour Club which utilises Robyn’s vocal discreetly to create a pensive, slowly evolving soundscape that’s worth diving into headlong. Do It Again is compelling not just for its personality but also because it is simply not what you expect. VTCN Radio (pronounced Vatican Radio) is a Parisian duo of experimental electronic music inspired by the romantic music, CAN and Kubrick movies. Using analog synthesisers, recorded sounds and machines amateurs, they drench you in a unique and intimate atmosphere emancipated from genres and influences where each track has its own story. VTCN Radio have just released their debut single Riddle Song. Riddle Song combines soulful, indecipherable vocals with Bonobo style beats. It’s a relaxing number with slow, comforting grooves. Summer Heart is a music project led by Swedish-born David Alexander. Having their music used on H&M’s campaign’s playlists, chosen Act Of The Month by Fred Perry’s Subculture and topping the official chart list on Star.com, Summer Heart have been very busy indeed by turning heads in all the right places. They’re now ready to release their long-awaited single called U Got All I’m Looking 4. Equipped in MGMT¹s originality, Empire Of The Sun’s memorable hooks and PNAU’s mass appeal, this is a song for literally everyone. The overall production is electro enough without being too harsh, interesting without showing off and quirky without being weird. By releasing a hot summer hit in the middle of winter, Summer Heart have found the perfect way of getting into everyone’s minds and warming them up instantly. Stripped back and groovy drums bring steady pace into the track while the airy and hook guitar riffs carry the whiff of an exciting beach breeze. The ethereal vocal lines haunt the listener’s ears in an unforgettable way and make for a sing-along treat all day long. U Got All I’m Looking 4 has got all the right ingredients for those in search of a great and memorable tune. It will be available for sale and download on Sunday 27 April. For nearly a decade, Tycho has been known as the musical alias of Scott Hansen but with Awake, his second LP for Ghostly International, the solo project has evolved into a three-piece band that reaches an entirely new realm of sonic possibilities. Also known for his design work as ISO50, Hansen’s visual and musical efforts have dovetailed throughout the course of his career with the new LP detailing how the two can truly compliment each other. Previous Tycho releases came to fruition from Hansen’s delicate solo approach to constructing a song, tweaking each peak and valley but Awake is three like-minded people coming together where music becomes the sole purpose and true expression becomes the result. The title track starts this album with its soothing, gliding melodies. The track itself is repetitive but it’s not boring. The tones send you into a trance-like state where you can totally switch off after one listen to this song. Awake takes you to a far away, dream like place. Montana is a track that has been previously revealed. 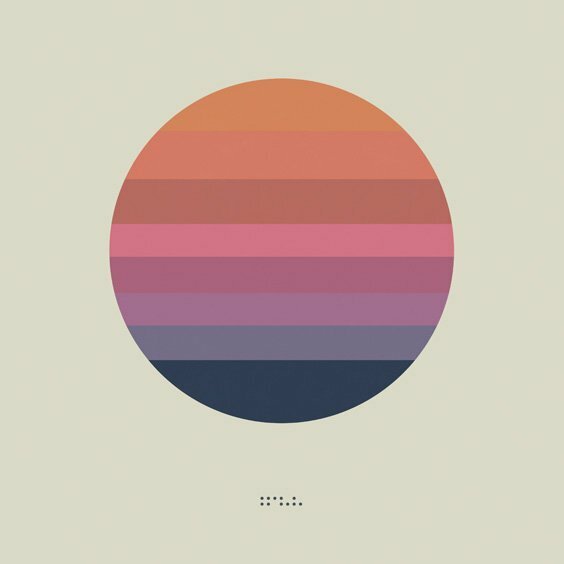 Montana sees Tycho move away from the electronic techniques and more towards the indie genre with its pleasant and peaceful guitar riff. This song steadily builds with the repetitive guitar riff taking the lead. Tycho knows how to build safety in familiarity while at the same time, ensuring a song remains fresh. He slowly adds in layers removing the repetitiveness and introducing a chance of development. The familiar guitar riff always returns though acting like a chorus for the song. L is a complete chill out track that could easily appear on one of those ‘chill out’ compilation records. It’s simple in comparison to the previous tracks. The tempo is slower, the beats last longer and the notes feel a little more prolonged too. There are dance influences heard in this song but not negatively. There’s a good balance here which sees this track edge away from the rave genre and sit snugly in to the electro-dance genre instead. The next track, Dye, starts off with a dreamy melody and then the dance beat comes in to play. It’s atmospheric and calming. There’s a lovely acoustic guitar riff which can be heard at the start of this song which is complimented by an electric guitar with reverb. Dye is an ever expanding track with each layer and instrument being introduced from the background to the forefront in a very subtle way – so much so that you don’t even realise the song has expanded as much as it has. See starts with clapping and an interesting bass riff before the electronics take over. There are break downs in this song as if Tycho want to lose layers in order for them to increase them again later on. See takes a lot of influences from the dance genre with the stylised drum beat. The bass line in this song is immense and is what carries it. Apogee features much more stripped back electronics allowing the guitar riff and drums to feature as the dominant instruments which is quite different from the rest of the songs on the record. Apogee’s tempo dramatically builds and reduces, builds and reduces allowing this song to sound like a mixture of more than one song. It does sound at times like a trance track as the drum beat becomes powerful almost overpowering and then it reduces to take the track back to the indie/electronic/pop genres. The penultimate track, Spectre, has also been previously revealed. It has a brilliant, uplifting guitar riff to start things off and there are certainly mesmerising qualities to this track, despite the crashing drums and soaring melodies. The last song on Awake is Plains which suits the end of the album perfectly. It’s a completely calming song to finish on. There are guitar riffs that overlap each other perfectly creating a sense of ambience and atmosphere. Surprisingly, Plains leaves you calm, collected and thankful you’ve heard this album. Awake will be released on 18 March via Ghostly International. It can be pre-ordered at iTunes, The Ghostly Store and ISO50. NPR have also streamed the album in full on their NPR First Listen section. After years of releases and DJ dates as Adultnapper, Francis Harris unveils Minutes Of Sleep, the second LP under his own name on Scissor and Thread. Writing this time after the death of his mother, he visits deeply personal territory but makes this album enjoyable by avoiding the morose. Breaking even more from his previous preoccupation with solitary electronic music production, the end result is an album that connects the electronic and dance worlds to modern classical and experimental compositions. Joined by an eclectic range of musicians, each track has an individuality yet all are held together by beauty. You Can Always Leave is a worthy illustration of Francis Harris’ capabilities. It’s gorgeous, sensuous, clever and unique yet reassuringly accessible. What She Said is a teaser of a song; it leaves you wanting more as does New Rain which is simple yet it draws you straight in. Dangerdream (How Che Guevara’s Death and Bob Dylan’s Dream Militarised Brigate Rosse) is as quirky as its title but still has feeling and delicacy. Francis Harris also recently released album track Lean Back with XLR8R. Lean Back is a spacey house cut featuring No Regular Play’s, Greg Paulus. Minutes of Sleep will be released February 24 2014. The album will be issued digitally and on a double vinyl LP which includes a bonus experimental remix of Dangerdream by the seminal DJ/Producer and intellectual Terre Thaemlitz.